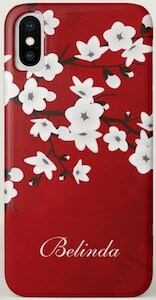 So you got yourself a new iPhone and need a cool case then come check out this red cherry blossom iPhone X case. The iPhone hard case is made for the iPhone X but is also available in many other models including the iPhone 8 but even for the iPhone 4. The red iPhone case has a cherry blossom design on it that brings colors into the design and on the lower part, it will have your name and that way people know it is your phone case. And as the iPhone X has wireless charging you want to make sure your case allows that too and this one is fine for wireless charging. So come and get your new Red Cherry Blossom iPhone X Case. Now there is a USB power bank that just looks fun and is personalized specially for you. This power bank looks like a calculator but that is just printed on the box and it even has you name printed on it at no extra cost. This 4000 mAh power bank is powerful enough to charge many devices like smartphones, GPS units, tablets and more and charging cables are included as well so that you don’t even have to take those from home. Now you can have your own portable battery with your name on it so that it’s always clear it’s yours. 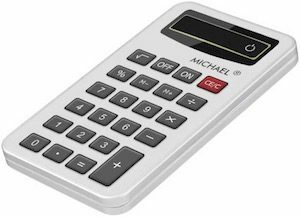 Come check out this Calculator Power Bank. How about a USB flash drive that looks special because it is made specially for you. This flash drive is made from maple wood and has a personal message printed on the front and back. The cap to the USB connector is made from wood to and is hold in place by magnets so that it looks like one piece of maple. Now you can have a flash drive that says “work files” or “My backup” or what ever you want and that can make your life a lot easier. And this flash drive comes in USB 2.0 or 3.0 in sizes 8, 16, 32 or 64Gb so that you can get the flash drive your really need. 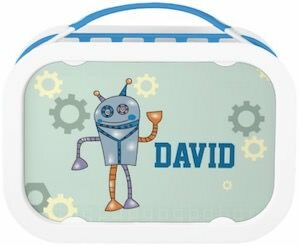 Come check out this Woden Personalized Flash Drive.